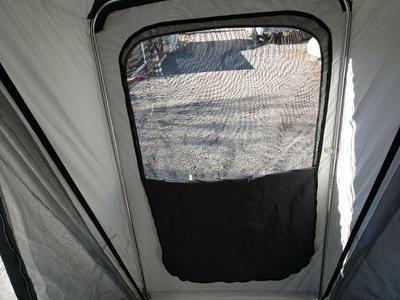 The 2011 Roll-a-Home motorcycle tent camper for sale features a room king size bed, new tires, swivel hitch, four (4) windows providing excellent ventilation, diamond plate fenders, cooler carrier and a car top carrier. 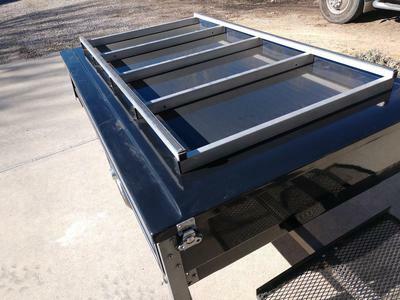 I bought this camping trailer new with all available options. But not the add-ons (screen porch, add-a-room, etc.). The CMA decals can easily be removed without any problems. 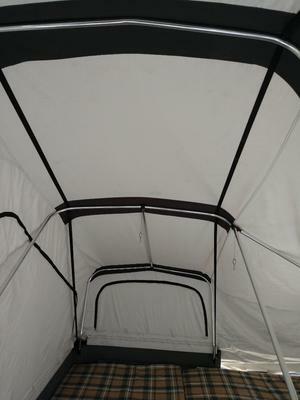 This very nice, used Roll a Home tent camper is set up without attaching the Velcro, so it may seem to be wrinkled but it will be tight when it is completely set up. Go here to see more extras for your camping experience and then contact me fast if you are interested since these used motorcycle campers tend to sell quickly this time of year. She is a very nice, like new camping trailer that is weather-tight and pulls and rides straight and true. I have many more pics if you would like to see them. My price is $4k and the used motorcycle camper is located in Bloomfield, NM New Mexico. Contact me to see additional pictures and mention that you found my classified on GoGoCycles Used Motorcycles for Sale.